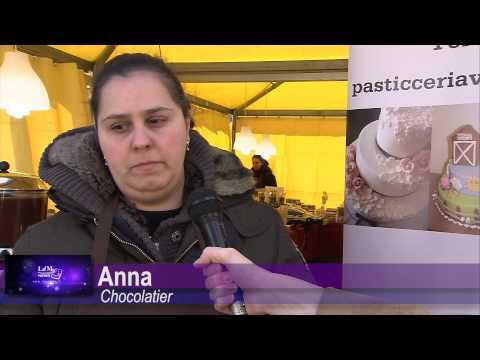 For any of you out there with a sweet tooth, this chocolate fair in Florence’s piazza Santa Maria Novella is an event you can’t miss. A feast for both the eyes and the taste buds, the fair is made up of stalls selling mountains of chocolate treats to warm you up during these cold winter days. Here there are all forms, colours and shapes of chocolate: slabs containing raisins, nuts or dried fruit, candied peel dipped in chocolate, towers of truffles and pralines, dark, milk and white and everything in between. But it’s not just ordinary slabs of chocolate you can find here, but chocolate formed into hammers and scissors, shoes, handbags and footballs. Try the hot chocolate for an incredibly rich, warming cupful or either dark or milk. Or why not try a chocolate kebab. Spike strawberries, bananas or grapes onto the stick, and dip it into the swirling chocolate fondue fountain for a delicious dessert. The exhibitors here are among Tuscany’s best chocolatiers, using traditional methods and the highest quality ingredients to make mouth-watering chocolates. It’s free to look around, and there are always plenty of tasters available. The fair is on until February 17th, but if you miss it this year don’t worry – it’ll be back in Florence in 2014. Visit www.fieradelcioccolato.it for details on this chocolate lovers heaven.